join me in the Studio! 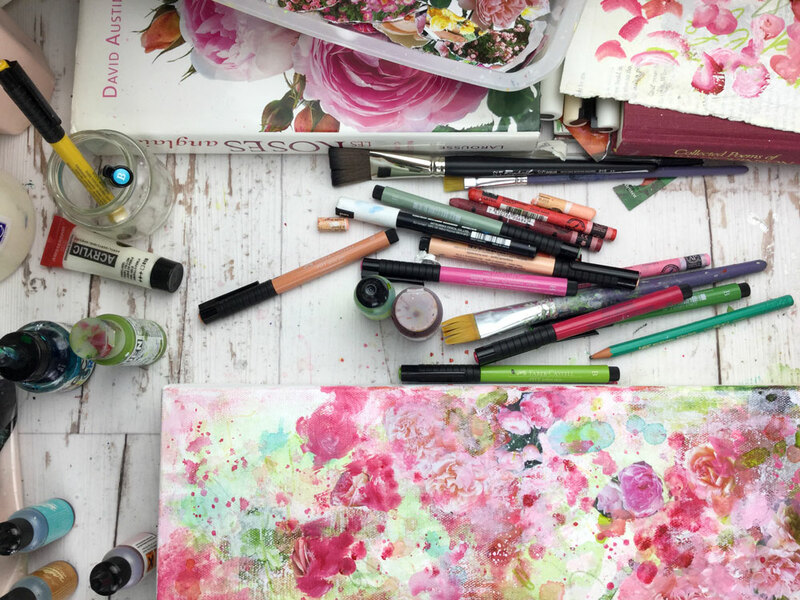 Join me in the studio and create gorgeous floral abstract paintings! 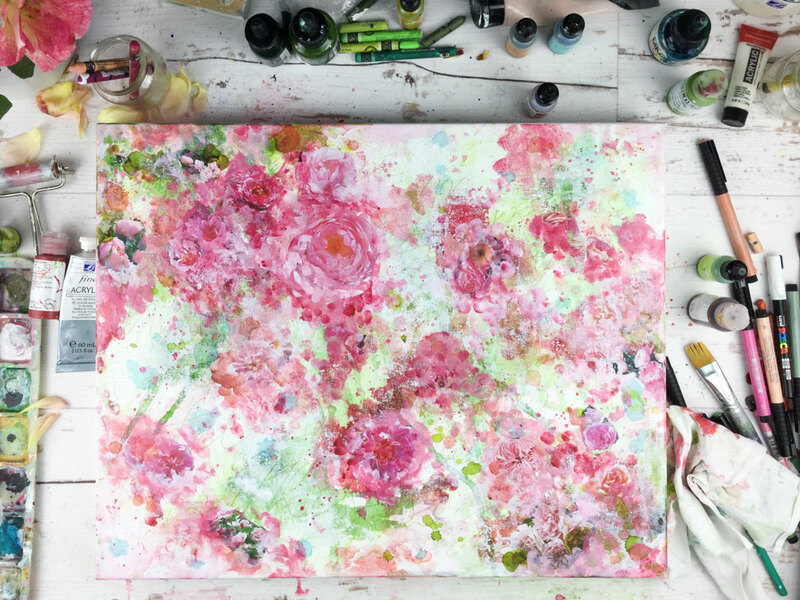 “Wild Roses” is a brand new mini class where I share one of my absolute favorite painting processes: so playful and fun, so forgiving, and with such rich, beautiful results! It’s your invitation to embrace color, welcome the unexpected and let your heart bloom with joy! 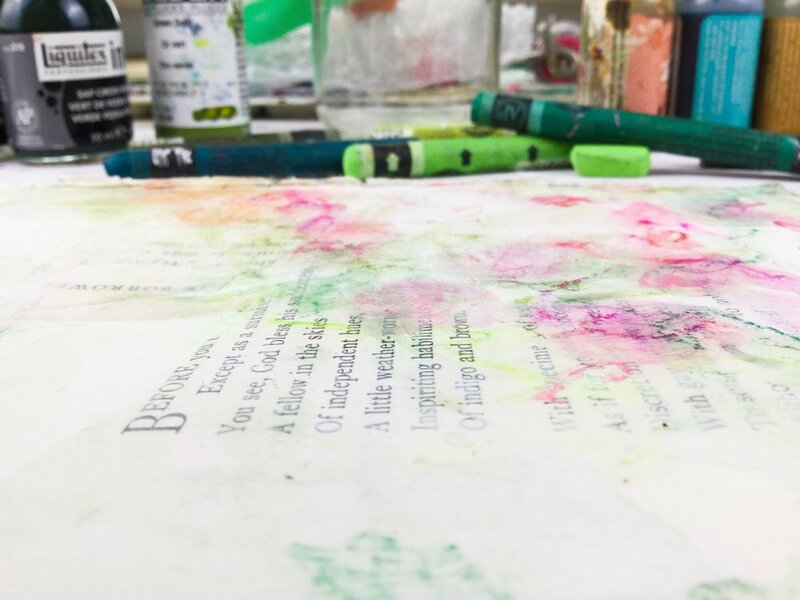 We go from messy, colorful layers of paint and collage, to the most soothing, fresh and light-filled look. You’re going to love it! This class has INSTANT, LIFETIME ACCESS so you can dive in right away… or whenever you’re ready! 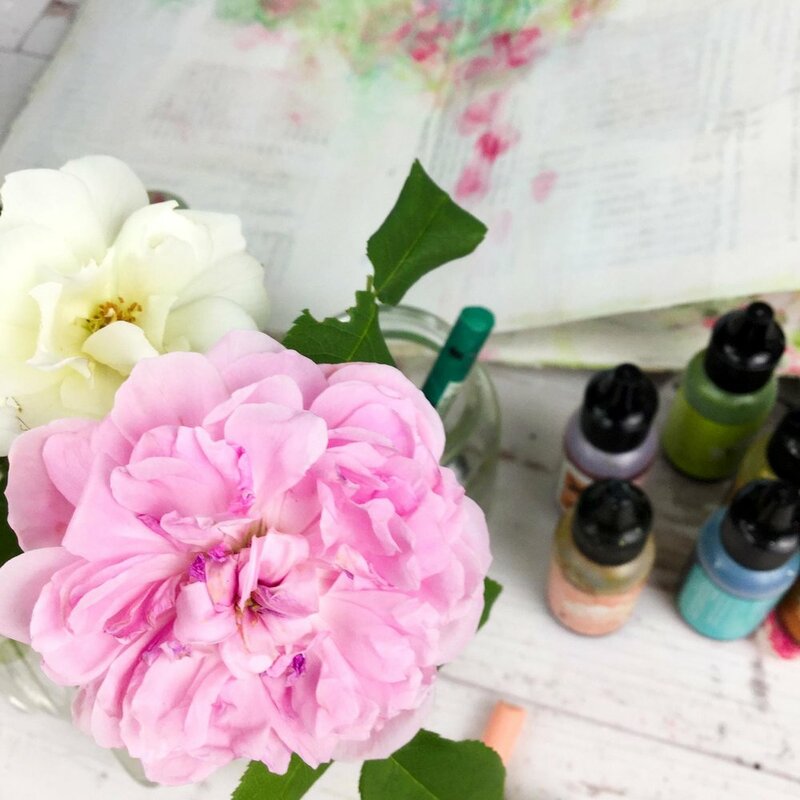 Students have already started gathering inspiration, loosening up with fun warm-up pages and creating their own gorgeous abstract rose gardens: a whirlwind of petals is taking over our Facebook group… and we’d love for you to join us! Older PostThe show is on!